Metal spike heels, art by Eric Legacy, on the set of Disregard The Vampire, 2014. Check out some behind-the-scenes photos taken on the set of Mike Messier's film Disregard The Vampire, Day 3 of filming took place in The Green Room. We have some awesome photos that highlight Shevon Young and her work as lighting tech. and set designer. And check out those crazy, spike high heels created by artist Eric Legacy! These images were captured by D.P. Chris Hunter of Collective Thought Media, with equipment provided by our A.C. James DeMello. Set designer Shevon Young lights "The Green Room," 2014. 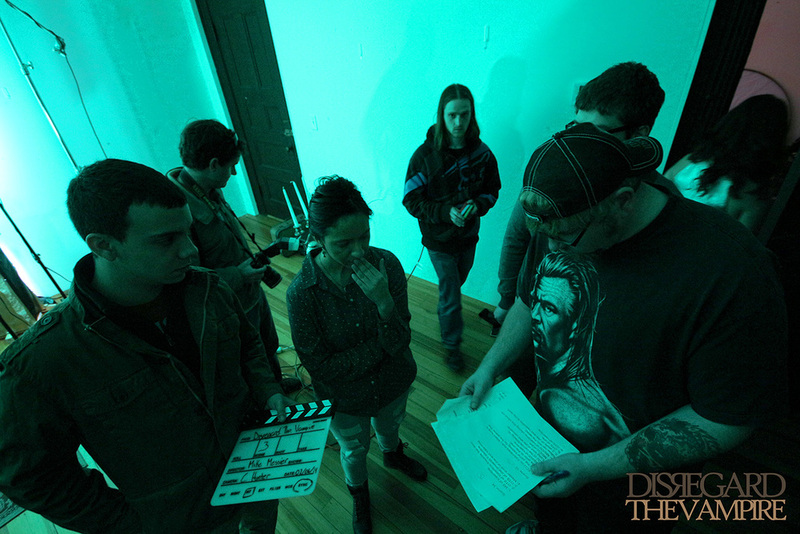 Crew members gather around writer, director and producer Mike Messier to discuss the next scene for Disregard The Vampire, 2014. 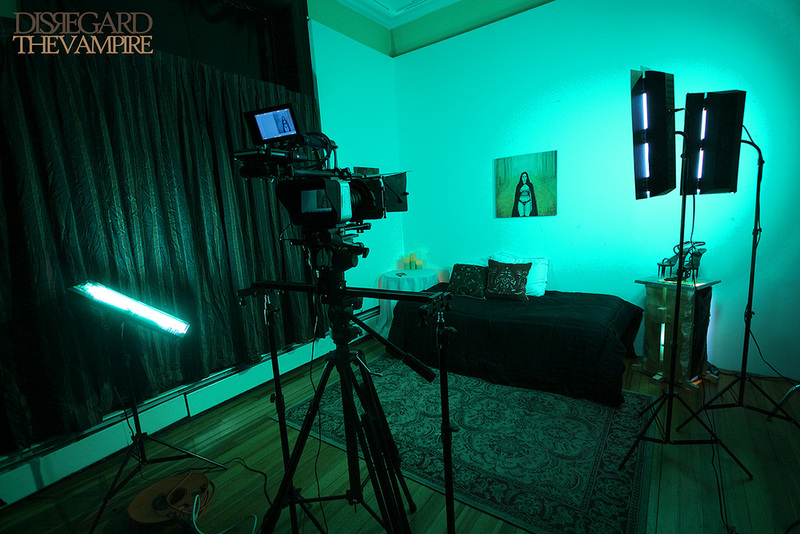 The "Green Room" on the set of Mike Messier's "Disregard The Vampire, 2014. Actor Jose Gonsalves as 'Joe' prepares for next scene in "The Green Room." Script Supervisor Mary DeBerry goes over the next scene with actors Geena Matuson (@geenamatuson) and Jose Gonsalves. H/MUA Katie Ciampa with actors before the next scene in Disregard The Vampire, 2014.